See my notes under the heading "Who is the Greatest," where I cover this passage. Christ says that any of His hearers who had a hundred sheep and lost one would go after it. I've been thinking about that. There are a lot of things that I could have one hundred of and not care if I lost one. In a lot of things, 99% is more than good enough. If I had one hundred dollars and couldn't find one of them, I wouldn't worry about it. But a good shepherd loves his sheep and knows them. It's not just another dollar bill to the shepherd; it's a valued and known member of his flock. Why do sheep get lost? John and Jeannie Welch say this about sheep: "Of all the animals in God’s kingdom, sheep rank among the most vulnerable. They are largely defenseless, lacking claws or most other means of warding off an attack from predators. They cannot even run quickly for very long. And not only can a lamb become lost, but because it lacks any homing instinct, it is quite helpless in finding is way back to the flock or the pasture. And once lost, it will frequently simply sit down and wait, not even bleating in distress. The best protection for sheep is to stay together in a group. Even then, the slightest noise can send them into a panic or cause a whole herd to stampede, sometimes to their death. The presence of their shepherd exerts an immediate calming effect on the sheep." I found that information fascinating, so I looked up more information about sheep. I learned from sheep101.info that "Sheep are best known for their strong flocking (herding) and following instinct. They will run from what frightens them and band together in large groups for protection. This is the only protection they have from predators. There is safety in numbers. It is harder for a predator to pick a sheep out of a group than to go after a few strays. Flocking instinct varies by breed, with the fine wool breeds being the most gregarious. It is this strong flocking instinct that allows one person to look after so many sheep . . .When one sheep moves, the rest will follow, even if it does not seem to be a good idea. The flocking and following instinct of sheep is so strong that it caused the death of 400 sheep in 2006 in eastern Turkey. The sheep plunged to their death after one of the sheep tried to cross a 15-meter deep ravine, and the rest of the flock followed. Even from birth, lambs learn to follow the older members of the flock." It's interesting that Christ says the person who has been offended is the one who should approach the offender, instead of the other way around. James E. Talmage says "The rule of the rabbis was that the offender must make the first advance; but Jesus taught that the injured one should not wait for his brother to come to him, but go himself, and seek to adjust the difficulty; by so doing he might be the means of saving his brother’s soul. If the offender proved to be obdurate, the brother who had suffered the trespass was to take two or three others with him, and again try to bring the transgressor to repentant acknowledgment of his offense; such a course provided for witnesses, by whose presence later misrepresentation would be guarded against. Extreme measures were to be adopted only after all gentler means had failed. Should the man persist in his obstinacy, the case was to be brought before the Church, and in the event of his neglect or refusal to heed the decision of the Church, he was to be deprived of fellowship, thereby becoming in his relationship to his former associates “as an heathen man and a publican.” In such state of nonmembership he would be a fit subject for missionary effort; but, until he became repentant and manifested willingness to make amends, he could claim no rights or privileges of communion in the Church." Verse 19 and 20 are interesting when put in context. Usually, we talk about two or three gathered in Christ's name as a promise to those gathered to be together in worship. And that is so very true. I've been in Primary classes with just a few little children and have felt the Spirit so powerfully. But it's clear here that the promise is given specifically to those who are gathered together with the authority to deal with an unrepentant brother or sister in the Church. Those who are "loosed" from the Church on earth by those with the keys will also be "loosed" in heaven. I'm sure such a responsibility was heavy on those in the early Church as it is heavy today. The promise that God would be in their midst as they made these hard decisions is comforting. It reminds me of this chapter in Mosiah where Alma was so troubled by the wickedness of some Church members and prayed to know what to do, "for he feared that he should do wrong in the sight of God." And his prayers were answered in abundance. One man owes an enormous debt and is forgiven the debt, then he turns around and refuses to forgive a smaller debt owed to him. The numbers here are deliberately exaggerated. The first man owed the equivalent of a billion dollars. How many even have that much to lend? The deliberate use of such an exaggerated number points us to our overwhelming debt to God, who is all-powerful and has lent to us more than we ever can comprehend. There is some difference of opinion among scholars regarding the monetary values mentioned here—and forgive the U.S. monetary reference—but to make the math easy, if the smaller, unforgiven 100-pence debt were, say, $100 in current times, then the 10,000-talent debt so freely forgiven would have approached $1 billion—or more! As a personal debt, that is an astronomical number—totally beyond our comprehension. (Nobody can shop that much!) Well, for the purposes of this parable, it is supposed to be incomprehensible; it is supposed to be beyond our ability to grasp, to say nothing of beyond our ability to repay. That is because this isn’t a story about two servants arguing in the New Testament. It is a story about us, the fallen human family—mortal debtors, transgressors, and prisoners all. Every one of us is a debtor, and the verdict was imprisonment for every one of us. And there we would all have remained were it not for the grace of a King who sets us free because He loves us and is “moved with compassion toward us." Jesus uses an unfathomable measurement here because His Atonement is an unfathomable gift given at an incomprehensible cost. That, it seems to me, is at least part of the meaning behind Jesus’s charge to be perfect. We may not be able to demonstrate yet the 10,000-talent perfection the Father and the Son have achieved, but it is not too much for Them to ask us to be a little more godlike in little things, that we speak and act, love and forgive, repent and improve at least at the 100-pence level of perfection, which it is clearly within our ability to do. The parable also teaches what Christ says in the Sermon on the Mount and elsewhere, that the judgment we give to others will be returned to us again. The man who had been forgiven his enormous debt is called to account for his own lack of forgiveness and then is "delivered to the tormentors." I don't know what that means exactly -- were the tormentors the slave traders he was sold to? Or like overlords in a debtor's prison? If anyone has an idea of what that means, I'd love to hear it. In any case, we are told that the same will happen to us if we are unforgiving. I love that Christ sends the seventy out two by two "before his face into every city and place, whither he himself would come." I had always pictured them just going out to the world at large, but they instead went ahead to prepare the people's hearts to accept Jesus when He would arrive. That's the same thing that our missionaries do today. They go out proclaiming Christ and His restored Church and then Christ comes to those people who are open to accepting and learning of Him. "The labourers are few." There is such a need for those who are willing to come and serve! 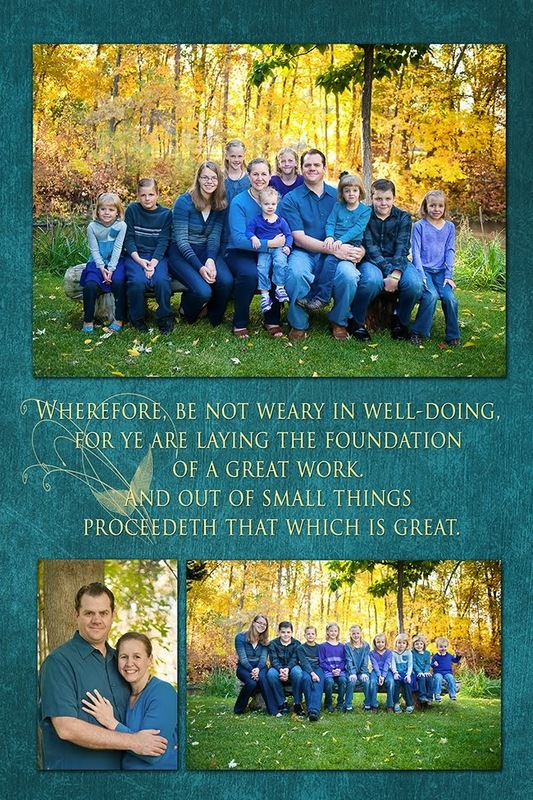 When we were living in a student ward, we had a stake president, Wes Burr, leave on a mission with his wife. He told us all that he had noticed something consistently. Those that planned to go on missions as seniors went and those who waited to decide until later usually didn't go. So he encouraged us all to plan to serve missions later in our lives (in The Church of Jesus Christ of Latter-Day Saints, married couples can serve full-time missions when they have no dependents living at home). This counsel is one reason I've been studying Portuguese daily for the past two and a half years. I decided that I would be of more use to God if I knew another language. I currently have an 810-day streak on Duolingo that I'm pretty proud of. I have a lot more to learn, but I'm happy with the small progress I've made in just a few minutes a day. The seventy are to accept and depend upon the hospitality of generous hosts. They should eat what they are served and heal the sick. Luke doesn't leave us in much suspense. He goes right from sending them out to telling of their return. If only it happened that fast in real life! My daughter is halfway finished with her 18-month mission in Brazil, and while the time has flown, we miss her immensely. Luke tells us the seventy returned "with joy" and then a few verses later, "Jesus rejoiced in spirit." It seems that the joy of the seventy brought Christ joy. I certainly have felt great joy at the miracles and growth that I see in my daughter as she serves, and I know that God also rejoices with her as she watches people change when they accept the light of the gospel of Jesus Christ. The seventy are amazed and exult over the fact that "even the devils are subject unto us through thy name." Christ's response is interesting. He tells them that He saw Satan fall as lightning from heaven and confirmed that He has given them power "over all the power of the enemy." But he also tells them that they shouldn't rejoice over having power over the fallen devils that followed Satan. I get the sense that He encourages them to feel pity instead for the miserable creatures. Instead, he tells them to rejoice that their own names are written in heaven. I love that Luke records a prayer of gratitude that Jesus gives, thanking the Father for revealing these things "unto babes." We aren't required to be the most experienced, educated, or talented to be of service in the kingdom. We simply need to be willing and to begin, and miracles will follow. One thing I've thought about the story in the past is that it shows that what Christ wants is for us to do what we can. The Samaritan did so much but he didn't stay with the man; he had to be on his way so he left the innkeeper to care for him. He didn't stay until the man was all better, but he did more than anyone would have expected a stranger to do. But as I've thought about it more, there are clear indicators that there is much more to this story than that. The Institute manual says, "In the written law of Moses, priests and Levites were assigned to serve God and their fellowmen, both in the temple and as teachers and exemplars of God’s law. These priesthood bearers were fully aware of the commandment to “love thy neighbour as thyself” (Leviticus 19:18). In fact, Levites were specifically charged with helping travelers economically and in other ways (see Leviticus 25:35–36). In the Savior’s parable, however, the priest and the Levite violated these commandments﻿—both noticed the wounded man yet “passed by on the other side” (Luke 10:31–32). The priest and Levite were following the oral law or tradition of the rabbis, which stated that Jews were not bound to deliver non-Jews or those of unknown ethnicity from death, for such a person was not a neighbor. The priest and Levite were within the bounds of oral law or tradition, but they were not within the pure law of Moses. Ironically, the Samaritan filled the roles of the priest and the Levite as outlined in the written Mosaic law, whereas the oral law or tradition excused the behavior of the priest and the Levite." Reading this as the medieval church did, as an allegory of the fall and redemption of mankind, brings some powerful insights. If Christ is represented by the Samaritan, there is great power in his promise to the innkeeper (the inn is believed to represent the Church) in giving him money and promising that he would come again and make up any difference between what it cost to care for the man and the money he left. This foreshadows the time when Christ will come again and wipe all tears from our eyes. He will make up the difference because He is the difference. It also shows us that Christ needs us to do our part in His great redemptive work. He leaves the man to be cared for by others. "Go, and Do Thou Likewise." 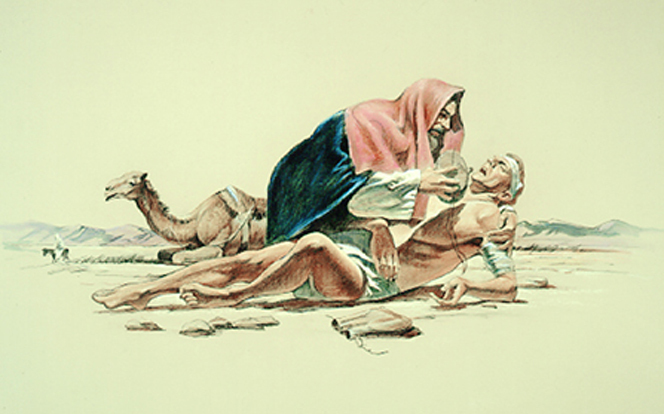 The Savior's abundant care is manifest in the actions of the Good Samaritan, and we are to do the same. President Spencer W. Kimball said, "The Lord does notice us, and he watches over us. But it is usually through another person that he meets our needs. Therefore, it is vital that we serve each other. The righteous life is achieved as we magnify our view of life, and expand our view of others and of our own possibilities. Thus, the more we follow the teachings of the Master, the more enlarged our perspective becomes. We see many more possibilities for service than we would have seen without this magnification. There is great security in spirituality, and we cannot have spirituality without service! The abundant life noted in the scriptures is the spiritual sum that is arrived at by the multiplying of our service to others and by investing our talents in service to God and to man. Jesus said, you will recall, that on the first two commandments hang all the law and the prophets, and those two commandments involve developing our love of God, of self, of our neighbors, and of all men. There can be no real abundance in life that is not connected with the keeping and the carrying out of those two great commandments." I have always loved this story and its traditional explanation -- that Martha was so busy worried about the details of everything that she didn't take time for the "one needful thing" that her sister Mary was doing by sitting at Jesus' feet. It has been common for many to write about this story in a way that tries to "rehabilitate" Martha in a sense, from our one-dimensional view of her as someone too busy to listen to the Savior, and I appreciate those perspectives and even agree with most of them. I don't think it's fair to turn Mary into the good sister and Martha in to the bad. But I also think that Martha was a strong enough disciple to handle a rebuke from the Savior. If Peter and the Apostles can handle being taken to task for their "little faith" and their misunderstandings of the Savior's teachings, I'm sure Martha, too, can accept and learn from what Christ is saying to her. And it is clear from her other stories in the New Testament that she did exactly that. Luke is the only one who tells this story. He is known for including many, many stories of women in his record, from Elizabeth and Mary to these special women who served Jesus. He says at the beginning of his record that he talked to many eyewitnesses to compile it. I think the most likely explanation for the origin of this story is that Martha herself told it to him, as well as what she learned from this experience. If that is true, I love her for her willingness to share her moments of weakness. I, too, can and do learn often from seeing through my study of the scriptures and through the whisperings of the Spirit, ways I can improve and change my life. I think it's common now to want to always tell each other, "You are enough," and "You are amazing just as you are and if anyone tells you differently, don't listen," and while there might be times for that message, I think we all crave improvement and the greater happiness that results from working to develop a better character. I remember a time when I was dealing with depression and was overwhelmingly discouraged. In the midst of that trial, I was given a blessing of comfort that also included a gentle rebuke. I was told that I could do more than I was doing to help overcome the challenges I was experiencing. It wasn't what I'd wanted to hear, but it was just what I needed. With that encouragement, I looked more closely at my life and habits and what I could change. With God's help, medical attention, and my own improved efforts, I saw great improvement in the course of time. What Martha was doing was so important. At the beginning of this chapter, the seventy were sent out and told to depend on the hospitality of those who would take them in. Martha was one that was offering that hospitality to Jesus and his disciples, and I am sure she was stretched and stressed about her overwhelming workload. It is interesting to note that Christ didn't rebuke Martha until she started to criticize Mary. It seems like her anger and resentment were what deserved attention from the Lord, not the fact that she was busy serving. I love that in his response to Martha, Christ tells her He sees her concerns and worries. She really was "cumbered about with much serving." I picture these words spoken with great love and understanding, "Martha, Martha, thou art careful and troubled about many things," just before the reminder of what was most important, "But one thing is needful: and Mary hath chosen that good part, which shall not be taken away from her." He knew and understood what Martha was experiencing and why it was she was so frustrated with her sister. The one thing that is needful is to choose eternal life. We choose daily. As we seek, listen, and follow the Lord, we are encircled in the arms of His love﻿—a love that is pure. One of the things I have learned as a mother is how important it is to unencumber yourself by examining all that you are doing and to put aside things of lesser importance. It can be painful, and I've had to give up some wonderful opportunities, put aside some personal pursuits, and to say "no" to very good things in order to focus on what matters most. Someone asked me last week how I do it with eleven kids. I said, "Well, I do it the same as many other moms. I think we all fill up our time with good things. If I didn't have eleven kids, I'd probably be doing other things, like being PTO president or volunteering somewhere. The difference in my life is that if that other woman gets stressed or overwhelmed, she can always choose not to be PTO president or to quit her volunteer work. In my case, when I get stressed, there's not as much that I can put aside. I can't exactly give away one of my kids!" With that being the case, I've had to be more careful than many others about how I spend my time. Everything has an opportunity cost. If I'm at one child's orthodontist appointment after school, that means I'm not at home teaching another child how to cook. If I'm organizing my books alphabetically by size and color, then I'm not keeping up on my laundry and it's only a matter of time before my toddler finds my mascara and paints the bathroom with it. Life is a constant juggling of priorities. That's one reason why my daily prayers always include a plea to be in tune with the needs of my children and to know where I should put my efforts. Book of Mormon Central does a terrific job of collecting relevant and interesting videos about each week's lesson. I've created a playlist of some of them to watch this week with my family. For our study this week, we are taking time each day to read about some the events of the last week of Christ's life. For our Sunday study, we will watch the videos below. If you are looking for an in-depth guide to what to study for each day and have time for more than what is in the manual, this resource is impressive! This one is SO powerful! Then these explanatory videos are very interesting, too! Here's a link to 12 about the last week of his life. In these verses, Jesus condemns the Pharisees for asking for a sign. They should know the scriptures and the law and should be able to see all the signs that Jesus is the Christ, and yet they demand more signs from Christ. Over and over in the scriptures, the pattern is that people believe, and then signs follow. Signs confirm our faith, not cause it in the first place. I wonder what it is about an adulterous people that makes them seek for signs? Is it that they are so consumed by their own appetites that they are unable to feel the whisperings of the Spirit? Or is there something about giving into physical lusts that makes people unable to develop faith? Elder Neal A. Maxwell says this, "Why does this generation seek a sign? queried Jesus with a deep sigh. (See Mark 8:12.) The more wicked and adulterous the people of a particular period, the more they demand signs as a condition of belief. Sensual individuals crave and live by sensations. Disciples, instead, walk and ‘overcome by faith’ (D&C 76:53), accepting gratefully the evidence of things not seen which are true (see Heb. 11:1; Alma 32:21)”"
Christ tells his disciples to "take heed and beware the leaven of the Pharisees and the Sadducees" At first they don't understand, and think he is talking about physical bread and rebuking them for not bringing some along, but then He explains that they shouldn't worry about bread -- don't they remember the loaves and fishes from last week? Instead, they need to worry about the doctrine of those who want to influence them. Just as the people of Christ's time need to be careful what voices and ideas they listen to, so we need to beware of the many voices today who would destroy our faith. I read a comment online recently that said something like "other people can simply believe with their naivete, but I am more enlightened and fair-minded than that; I consider all sides of an issue." The problem with that is that you can study and study and never get to the truth. There are always going to be more opinions and more voices to listen to. The internet has given a platform to the most cunning liars as well as the brightest and most educated. Some people online have your best interests at heart but others would love to cheat you and deceive you. If one really believes in a God, then why would you give equal time to those who oppose Him and the good He stands for? In last week's General Conference, Elder Neil L. Andersen addressed the issue of the "information overload" that we experience today and how to find truth in the midst of constantly shifting opinions. I love the two questions asked here. First, what do the people think of me? And second, who do you think I am? I wonder how I would respond to the question today. Probably to the first question, "Some say that you are an outdated, old-fashioned idea. Some say you are a fable. Others that you were a good moral teacher but nothing more. Others believe in some of your teachings but ignore the ones that are unpopular today. Still others believe that you are the Christ, the Son of God and our Savior." To the second, I would echo Peter and then add my own witness. He is the Son of God, the Savior of the World, who descended below all things because He loves us. I can't help but contrast Peter's sure witness with the many who left Christ after things got a bit hard. Peter was there through thick and thin and even had the faith to walk on water. His faith and sure testimony was followed by the great experience on the Mount just a week later. Christ says to Peter, "Blessed art thou, Simon Bar-jona: for flesh and blood hath not revealed it unto thee, but my Father which is in heaven. And I say also unto thee, That thou art Peter, and upon this rock I will build my church; and the gates of hell shall not prevail against it. And I will give unto thee the keys of the kingdom of heaven: and whatsoever thou shalt bind on earth shall be bound in heaven: and whatsoever thou shalt loose on earth shall be loosed in heaven." There are several interesting things going on in this passage. One is that Christ is showing that the way to gain a witness isn't through signs or through "flesh and blood," but through the witness that comes from God. In my study, I heard two explanations of the "rock" passages. The first pointed out the difference between the two Greek words used. "As the Savior taught Peter about revelation, He used a wordplay on Peter’s name, declaring to Simon, “Thou art Peter [Petros], and upon this rock [petra] I will build my church” (Matthew 16:18). The Greek word petros means an isolated small rock or stone. The Greek word petra can also mean “a stone,” but in addition it can refer to stony soil, bedrock, or a large mass of rock. From these words we learn that it was not upon Peter as a man that the Church would be built, but upon the bedrock of revelation. 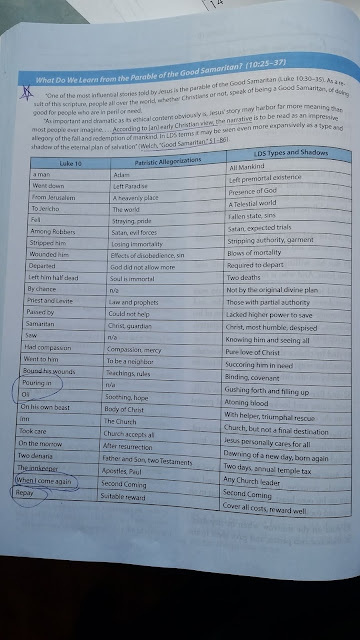 (New Testament Student Manual). Just as Peter learned of Christ's true mission through revelation from God, that same revelation would form the foundation for His Church. Peter also would be the "little rock" that helped build the Church after Christ's death, exercising the keys and authority given to Him. The second explanation of the rock passage pointed out that while the two words are necessarily different in Greek, they would have been the same word in Aramaic. According to this explanation, the passage intended to make it clear that Peter would have the responsibility to build up the Church after Christ's death. In my own opinion, I think both are true. The imagery of keys is interesting. Today, keys are everywhere and everyone owns multiple copies of their most important ones. We even have keys to unlock things we don't even own anymore. 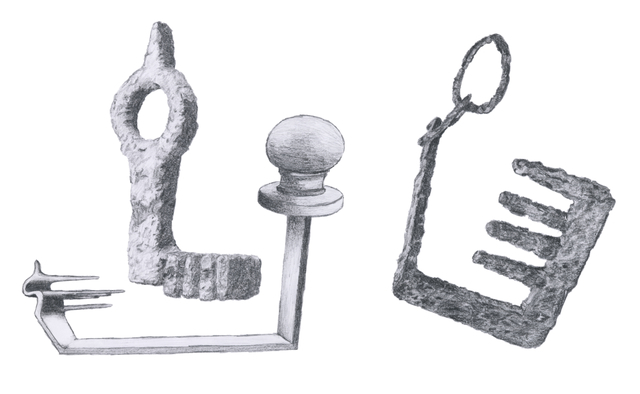 In contrast, to have a key in ancient times was a serious responsibility. The New Testament Student Manual says, "In the first century A.D., keys were typically made of iron and were bulkier, more expensive, and less common than modern house keys. To hold the keys of a house was a position of great trust. Thus, keys were a fitting symbol of special authority, responsibility, and purpose. Ancient scriptures make repeated use of the symbol of keys, which represents the power to lock and unlock, open and shut, and permit or prevent entrance (see Isaiah 22:22; Matthew 16:19; 18:18; Revelation 1:18; 3:7; 9:1; 20:1). The keys would give Peter the authority to act in God's name, to bind, and loose, and to seal. Thomas Wayment's notes say that "the idea of binding on the earth is built on the Greek word deo, a word that can mean to tie, fasten, or be married to." We in the modern restored Church of Jesus Christ believe that the keys of the priesthood have been once again restored to the earth. We believe that the keys of the priesthood were lost due to apostasy in the early Church and that they had to be brought again to the earth. We realize that this is a bold statement, but we don't expect people to take our word for it. We invite others to read, study, and pray to receive their own witness of it (which is one reason we send out missionaries, like my daughter in Brazil. We believe that the binding power given to Peter is the same power we use in sacred temple ordinances like marriages that we believe will last not just until "death do ye part" but throughout eternity for those who are faithful to Christ and to their covenants. Christ, at this point about six months before his crucifixion, begins to tell his disciples that he is going to be killed and raised again the third day. Peter is shocked and doesn't accept this. "This shall not be unto thee," he says, and I imagine him crying it out vehemently. I wonder how much of this statement was because of Peter's preconceived notion of a conquering Savior and not one who came to suffer and how much was because of his horror that such a fate might befall One who had shown power over all things. I'm fascinated by the concept of Christ, six months before His crucifixion, telling his disciples to take up their cross and follow Him. While it is easy for us to assign meaning to the concept of "taking up the cross," after Christ's resurrection, I wonder what the disciples who heard this thought of it. Christ said something like this, but not this exact thing. But since the narratives weren't written down until later, this was the phrase they used when the gospels were written. So it's anachronistic. People still understood what a cross was and what it meant to carry one -- it meant a willingness to defy the worldly authorities and be willing to endure persecution for the sake of something higher. It is very possible that the people who heard this saw this as a call to be willing to put Christ first, come what may and even if the Romans crucified them. This statement might have been meant to shock the audience and cause them to question how committed they were. This could have been one of those sayings, like in the other verses in the chapter where Christ foretells His death, that the audience heard but didn't comprehend until after He had died. One comment from Mark Thomas said this: Remarkably, the picking up one's cross has multiple attestation: in Mark, Thomas and Q. (See Mt 16:24, MK 8: 34, Luke 9:23, Matt 10:38, Luke 14:27, Thomas 55:2) Multiple attestation is one way to determine what goes back to the historical Jesus. A near contemporary stoic philosopher, Epictetus ( c. 55 – 135 AD) spoke in his second book of discourses: "If you want to be crucified, just wait. The cross will come." See Crossan "The Historical Jesus" page 353. Some of these sayings in the NT use "cross" as a metaphor for fate in a stoic fashion, not as a prophecy of literal crucifixion. The Spirit can guide us when to look ahead and when we should just deal with this one day, with this one moment." I've had times when that has been all I can do -- just deal with the tasks and challenges of today and not worry about the many tomorrows. Christ goes on to explain that "whosoever will save his life shall lose it: and whosoever will lose his life for my sake shall find it. For what is a man profited, if he shall gain the whole world, and lose his own soul? or what shall a man give in exchange for his soul?" (Matthew 16:25-26). Sometimes we talk about this verse as if Christ is talking about losing yourself in service to others, but in context, it is clear that Christ is saying that if we aren't willing to go all in -- even if it might end with losing our lives -- then we have traded our life for a secondary reward. We need to be willing to sacrifice all that we have for the gospel, even if that includes martyrdom, as it did for many brave and committed Christians through the years. What a sobering thought. It is meaningful to reflect that without Peter, James, and John's earlier commitment and faith, this experience would likely not have happened. Because they believed, they were given further witness. They saw Christ as Who he truly was. They were visited by the prophets Moses and Elias (the Greek translation of Elijah). Multiple scriptures teach that if we are willing to receive the truth from God and act in faith, that light will only grow. This experience occupies just a few scant verses, but it has echoes of other important experiences prophets have had with God -- Moses on the mount, for example, who came back with a face shining so bright that he had to cover his face with a veil. There are beautiful patterns in the Old and New Testament as well as the Book of Mormon of prophets who were able to ascend to the unity and "At-One-Ment" represented by the Holy of Holies in the ancient temple and represented symbolically in modern temples by the Celestial room. This story is told in three gospels, with basically the same elements. A desperate man approaches Christ on behalf of his son. He had brought his son to the disciples but they had failed to heal him. Now, he brought him to Christ hoping for a miracle. I love the example of the man's faith -- that even after the disciples failed, he didn't give up in despair. He kept seeking until he found Christ. In contrast to the rebuke Christ gave the Pharisees who came to him seeking for a sign or a miracle so that they might believe, Christ tells the man that "all things are possible to him that believes." And in Mark, the man replies, "Lord, I believe. Help thou my unbelief." I love that sincere, beautiful, humble message. I have found that when I pray and approach God with no pretense, He listens and He answers me. "Heavenly Father, you know how tired I am," I will all too often begin my prayers, or "I am feeling so overwhelmed to day. Help me to do the most important things. Help me to be in tune with the needs of my children. Help me get enough rest. Help me to push through and be patient." It ain't lofty, but it's all I've got some days, and He meets me where I am. I would be remiss if I didn't post the best talk ever given on this passage of scripture. You can watch it below. It is well worth watching! I picture Christ saying this with a twinkle in his eye at the irony of asking the King to pay the tax for His own house. He was the One for whom the temple had been built, and the One it taught of and pointed to. He would give his life to make Atonement for all and allow us the privilege of entering into the presence of God, and yet they come asking Him to pay the tribute. Christ does pay the tribute, with Peter casting in a line, bringing up a fish, and finding the money inside. I love the principle that Christ uses as reasoning to pay the tribute, "lest we should offend them." Sometimes we do things not because they are right but because they are polite. It isn't necessary to make an issue out of things that don't need to be an issue. Interesting that this story is only in Matthew's account, him being a former tax collector. Who is the best? This is a question that is ever-present in our world today. Is it the person with the most likes on Youtube? The best jump-shot? The one with the coolest bucket list? The one who does something never done before, like free-soloing El Capitan? Is it better to be the fastest man at a marathon or the one who can do fifty marathons in fifty days? Or hey, why not someone who did fifty ultra-marathons in fifty days in fifty states? (I've actually heard this guy speak in person. He has a great story!) Or is the person the greatest who is the most well-known, the richest, or the most powerful? There's constant competition, insecurity, and even ruthlessness to this question. We have awards for everything, endless ways to measure success, and plenty of gurus who guarantee it. So it's no surprise that this question arose among Christ's disciples. In Mark, we get a little more background and what I picture as a rather amusing scene. The disciples had been "disputing by the way," it says, and Christ asks them what it was they were arguing about. Chagrined, I picture them all looking at their feet and fidgeting, as it says, "but they held their peace." They didn't quite want to share what they probably realized was a pretty self-centered dispute. It is interesting to me that Mark and Luke don't say to become as a little child like Matthew does. Matthew says, "Except ye be converted, and become as little children, ye shall not enter into the kingdom of heaven. Whosoever therefore shall humble himself as this little child, the same is greatest in the kingdom of heaven." All three accounts, however, contain the second part of Matthew in one form or another: "And whoso shall receive one such little child in my name receiveth me." It is interesting that it isn't just a little, humble child that Christ calls the greatest in the kingdom of God, but those who receive those little children. And who is it that throughout centuries have received a child, along with the responsibility to raise, love, and teach that child about God? Righteous, dedicated mothers and fathers. Who is the greatest? A small, humble child. Those who become like them in humility and submission to God. And those who receive and care for children in Christ's name. These are very different, unexpected priorities! In Luke, it says that from that time forward, Christ "steadfastly set his face to go to Jerusalem." I enjoyed reading this overview of what that road to Jerusalem entailed in Luke. It's nice to get a bigger picture of things sometimes. Given that Christ knew what was coming in Jerusalem, this statement is powerful. He knew in advance what the end of the journey would mean and He was bold and determined to see it through. Along the way, messengers are sent ahead to Samaria so He can go there. It says the Samaritans "did not receive him, because his face was as though he would go to Jerusalem." (Luke 9:53). I'm not sure exactly all that entailed, but it could have been because of their rivalry with Jerusalem (see my notes here for some background on that) and their unwillingness to accept someone who had embraced their perceived enemies or who accepted the temple at Jerusalem as legitimate. Or it could have been that the people of Samaria didn't want to anger the Romans by harboring someone who might seem to be an enemy of the regime. In any case, the disciples James and John get their turn for a rebuke from Christ in this story because they wanted Christ to call down fire from heaven to destroy the Samaritans. Christ condemns their warring spirits and reminds them that He is sent to save men, not to destroy them. In Mark, Christ discusses leadership principles and how if someone should offend one of the little ones, it would be better for that man to have a millstone around his neck and be cast into the sea. Pretty hard words! Christ goes on to say that if a hand, or foot, or eye, offend thee, you should cut it off. 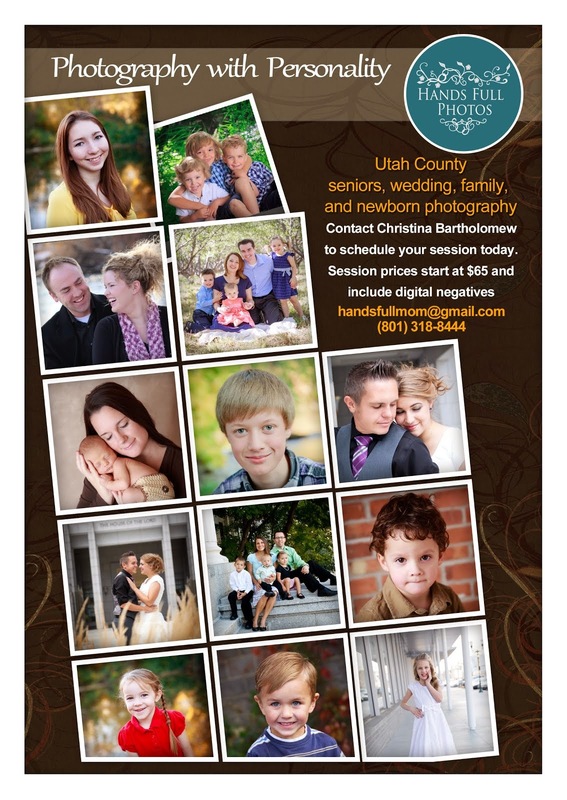 That's pretty bold imagery, and it seems to apply both to individuals and to the Church. Given the context of talking about someone leading the innocent astray, Dallin H. Oaks said, "the foot and the eye seem to refer to leaders. They are held to a higher standard. Because of their visible and influential position, they should be cut off for transgression . . . To cut off a leader or a member means to sever that person's membership, fellowship, or some of the person's privileges. In context, then, these scriptures direct the application of what we now call church discipline, and they call for more rigorous discipline for leaders." (as quoted in Thomas Valleta et. al., The New Testament Study Guide, p. 170). As to how this applies to individuals when we have a part of us that is so offensive and weak, it is better to cut it off figuratively. I think of alcoholics and recovering drug addicts who have to develop a whole new way of life and new friends because the old patterns are so easy to go back into. I think of someone who may need to choose new friends if the old lead them into sin. I think of the people of Ammon in the Book of Mormon. They were a warring and blood-thirsty people who were converted to the gospel. Because they never wanted to go back to their old ways and risk losing their souls, they took the drastic step of burying their weapons of war and making a covenant not to ever take them up again. They died rather than using weapons. That's the kind of commitment and putting away of sin that the gospel requires. I'm not guilty of any great wickedness, but I wonder if there are things that I, too, need to cut off from my life in order to be more centered on the gospel of Jesus Christ. Am I spending too much time on my phone? On social media? In the past, there have been small things that I've had to cut out of my life. People I've unfollowed on Facebook because they constantly stir up contention, for example. I've also had the experience of enjoying a popular show right up to the moment it starts to show scenes that are offensive. Sometimes it's been hard to turn those shows off because by then I'm invested in seeing how the story turns out. But I have pretty high media standards for my family so out they go. What have you found that you have needed to cut out of your life? This week's reading was so dense and full of beautiful stories and wonderful applications -- the feeding of the 5,000, Christ and Peter walking on water, the healing of a Gentile woman's daughter and a deaf and mute man as well as multitudes, the feeding of the four thousand, the pool of Bethesda, and the Bread of Life Sermon. I feel a bit overwhelmed in trying to reduce my thoughts down to just the highlights! The story illustrates the power of good people to influence even a very wicked man. Herod would have put John to death but "he feared the multitude because they counted him as a prophet." If there hadn't been good people following John, Herod would have not held back from putting him to death for telling the truth about his unlawful marriage. The story also illustrates the power of peer pressure for evil, as Herod beheads John for "the oath's sake, ad them with sat with him at meat." He didn't want to lose face with his dinner guests, those who had heard his oath to Salome to give her whatever she wanted. The application in our lives is pretty clear. We need to do good things because they are right, no matter what the crowds and multitudes might think. And we need to be careful that we don't allow our desire to please those around us keep us from doing what is right. We can learn from John the Baptist's example to speak the truth and let the consequences follow. And that God allows bad things happen to good people. "When Jesus heard of it, he departed thence by ship into a desert place apart" Once again, Christ seeks time alone. His ministry included so much healing and teaching, but it also included time to commune and pray and seek His Father. Do I take that same time to turn off all the distractions in my life and really pray? Or do I fill up every moment with entertainment, media, internet, etc.? Christ went to a place apart, but he is followed by the crowds. I wonder if some of them heard of John the Baptist's death and sought understanding of it through Christ. Certainly, others came for the healing He could bring to them and their loved ones. Still others wanted Him to be their ruler -- it says in John 6:15 that after he fed the 5000, "When Jesus therefore perceived that they would come and take him by force, to make him a king, he departed again into a mountain himself alone." Instead of annoyance at the crowd for disturbing Him, He was moved with compassion. The feeding of the 5000 is one of the few miracles found in all four gospels. It was the sign to many of the people that this was the Messiah, the new Moses who gave them manna. John 6:14 "Then those men, when they had seen the miracle that Jesus did, said, This is of a truth that prophet that should come into the world." I heard someone comment that when Christ commanded them to gather up the fragments that remain, He was teaching us not to waste. That may be, but I think the larger message of the twelve baskets is as a witness of the incomparable generosity of God. Not only did He magnify the humble loaves and fishes into enough to feed the entire multitude, He gave so much that there was plenty left over. It reminds me of the scripture in Luke 6:38 " Give, and it shall be given unto you; good measure, pressed down, and shaken together, and running over, shall men give into your bosom. For with the same measure that ye mete withal it shall be measured to you again." God gives us so much that we don't have room enough to receive it! "Many nameless people with gifts equal only to five loaves and two small fishes magnify their callings and serve without attention or recognition, feeding literally thousands . . . Any man or woman who enjoys the Master’s touch is like potter’s clay in his hands. More important than acquiring fame or fortune is being what God wants us to be. Before we came to this earth, we may have been fashioned to do some small good in this life that no one else can do. The Lord said to Jeremiah, “Before I formed thee in the belly I knew thee; and before thou camest forth out of the womb I sanctified thee, and I ordained thee a prophet unto the nations” (Jer. 1:5). If God has a work for those with many talents, I believe he also has an important work for those of us who have few. My daughter Julia, who is expecting her tenth child, makes seven school lunches every morning. It is a job she has disliked so much it was hard for her to get out of bed, because the chore of making sack lunches is the first chore she faces every day. . . . Lunches were a chore for Julia that made every morning less than joyful until the Sunday that her eight-year-old son came home from church and had the following conversation with his mother. 'What was your Primary lesson about today?' his mother asked. 'Oh, you know,' young Weston said in an offhand way. 'It was that story that everybody knows. You know. The one about the time Jesus was walking around the Sea of Galilee and all these thousands of people came walking after him, and they listened to him for most of the day, and then it got hot and late and they were all tired and hungry and there wasn't any food at all. I love that in order to finally get his time alone to pray, He sends the multitudes away and sends His disciples on ahead on a boat. Then presumably, He occupies most of the night with communing with His Father. There is a lot of imagery in these two episodes -- the feeding of the multitude and the crossing of the sea -- of the Exodus. Just as Moses crossed the Red Sea miraculously, so Christ did the same. In Mark, it implies that the disciples on the boat should have already known from the miracle of the loaves that Christ was the Messiah. But they did not. It says, "And he went up unto them into the ship; and the wind ceased: and they were sore amazed in themselves beyond measure, and wondered. For they considered [or understood] not the miracle of the loaves: for their heart was hardened." For Family Home Evening this week, we listened to some of this devotional by Michael Wilcox that I referenced in one of my earlier posts. It's good so I will post it again! "The phrase “the fourth watch” comes from the account in Mark, and others in the New Testament, where the Savior during the day has fed the 5,000 and He sends the Apostles down to the Sea of a Galilee while He’s going to dismiss the multitude. Then He will pray, and the Savior will often pray a long time. So it’s late afternoon, early evening, when the Savior sends the Apostles down to the ship and they get in it and a storm comes up. The phrase that Mark uses is “the wind was contrary to them and they toiled in rowing against the wind.” That expression is so fit for so many of us in our lives, I know in my own life, and I look at my children’s lives; we toil in rowing against the wind. There’s blessing we want but don’t have, there’s a trial we want over that isn’t over yet. In John’s account they row for about the equivalent for 75 football fields against the wind, and they’re discouraged, they’re tired. Hope is starting to wane. In Mark’s account I think one of the first things that really gives me comfort is that he says He saw them toil in rowing, He saw them. I’ve been to the Sea of Galilee a number of times and you can see the hills around the lake. I picture Him up there looking down on them, but they don’t know He’s looking down on them. Sometimes in our own lives He’s looking, He’s watching, He sees us toiling and rowing–we may not always realize that He sees us. And then it says that in the fourth watch of the night He came to them walking on the water. The Hebrew day is roughly divided into 12 hours; six in the morning, roughly, was the first hour, so the sixth hour is noon, the ninth hour is about three in the afternoon. The night was divided into four watches; roughly six at night to nine at night, nine to midnight, midnight to three, the fourth watch–three in the morning to sunrise. And it’s in the fourth watch that He comes. So I often say to myself and to others, we worship a Fourth-Watch God. In many areas of our lives He seems to allow us to toil in rowing against the wind. There must be something good in developing spiritual muscle. The problem is that I’m usually a first-watch person, or a second-watch person. And when the third watch starts, and He’s not come and my trial is not over and my blessing is not arrived, we may begin to make some assumptions that are dangerous. We may begin to assume that He’s not there, or that He’s there but doesn’t care, or He’s not listening, or maybe the most dangerous assumption ‘I’m not worthy.’ And I think the correct assumption I try to make–in my own fourth-watch times or with my children or friends–He’s there, He listens, He cares, we’re as worthy as we can be. We’ve not yet reached the fourth watch, and when we reach the fourth watch, He will come. Peter walked on water but when he saw the winds he became afraid. As the mother of eleven kids, each of whom I feel strongly I was supposed to bring into my family, I have had many experiences like Peter's, where I know I'm supposed to have a baby or keep this family together and initially I feel as if the Lord will support me in the challenging task I've taken on, but then as time goes on and I see the "winds boisterous," I start to falter. The winds in my life are usually exhaustion, overwhelm, worry, and never-ending hard work. Am I really enough for this task? I wonder. I am so thankful that in my moments of doubt and weakness, Christ is still there for me as Christ was for Peter, reaching out his hand to him, saving him from drowning and giving him a gentle rebuke. In the same way, I have felt the Spirit's guiding influence in my moments of inadequacy telling me that while it is true I am not enough for this, I am not doing this alone. With Christ's help, I can do everything that I need to do. Often unallowed for, too, are the differing styles of leadership we experience in the kingdom. Paul was thoughtfully sensitive to the need not to offend weak members by eating meat (see 1 Cor. 8:13), while John the Baptist’s diet of locusts and wild honey may not have proven contagious—surely not with Jerusalem’s country club set. It is our individual and constant responsibility to avoid “looking beyond the mark.” (Jacob 4:14.) My focus is my responsibility! What is most to be focused on—the fact that Peter walked briefly on the water or that he did not continue? Has any other mortal so walked, even that briefly? When I was a teenager, I read the story of the Gentile woman coming to Christ and I was rather bothered by it. It didn't fit with my picture of who and what Christ was. A Gentile woman comes to Christ begging for healing for her daughter only to be told, "It is not meet to take the children’s bread, and to cast it to dogs." She responds humbly, "Truth, Lord: yet the dogs eat of the crumbs which fall from their masters’ table." Only then does Christ say, "O woman, great is thy faith: be it unto thee even as thou wilt. And her daughter was made whole from that very hour." While we recoil at the thought of someone being called a dog, it was not necessarily an insult. According to Thomas Wayment, the form of the verb used is in diminutive form, so more like a household pet than some feral animal. If we substitute the word "kitten" for the word we might be able to get a better idea of what it might have meant in the original exchange. Even so, it is clear that the woman seems to be asking metaphorically for a seat at the table and Christ is telling her she is not in a position to ask for that. Matthew gives us a short explanation of the exchange when it quotes Jesus in verse 24 as saying, "I am not sent but unto the lost sheep of the house of Israel." The time of the Gentiles has not yet come. The gospel has to be offered first to the house of Israel and then later to the whole world. But why would this preclude Christ healing the woman who came to him? Especially given that it is likely he has healed other Gentiles in the past -- the man with the legion of devils was probably a Gentile, as was (possibly) the Centurion's son. Could she have been asking him to take time away from his other pressing needs? Was this an instance where if He had gone with her as she perhaps had asked (but is not recorded), He would have left something even more important undone? As a mom with more to juggle in the course of a day than I can actually do, I understand competing priorities and the need to say "no" at times. Some scholars believe this exchange was meant not to insult the woman, but to test her faith. We know that Christ does use this technique at times because during the feeding of the 5000 as recorded in John 6:5-6, "[Jesus] saith unto Philip, Whence shall we buy bread, that these may eat? And this he said to prove him: for he himself knew what he would do." In that instance, Christ used the question to see how the disciples would respond. I personally lean to this interpretation of the Gentile woman's story. From what is written in scripture, the exchange was short and in the end, the woman received the great blessing for which she sought, plus praise for her great faith. Because she was willing to accept the smallest crumb, she got the feast that she desired -- her daughter was made whole. In keeping with this reading, this scripture has great meaning for me. Do I have faith enough to accept crumbs from the table of God? Or would I go away offended that I was not given prime seating at the banquet? It's hard to be a person today without having a certain amount of entitlement, having grown up in a culture that celebrates individuality and even has a saying that "the customer is always right." Sometimes it might feel like God is giving us crumbs when we desire a feast. We may want to be married and haven't found a spouse. We may have married but our spouse did not turn out anything like what we hoped for. We may want children and be forced to endure miscarriage after miscarriage. We may desire financial security only to suffer job loss and poverty. We may be blindsided by chronic illness or disability. In such times, are we willing to accept what God is offering to us? Or do we turn away, offended that our lives didn't turn out the way we thought we deserved? Of course, I don't believe in a God who gives only gives crumbs. He gives us good gifts, but "Nevertheless the Lord seeth fit to chasten his people; yea, he trieth their patience and their faith." (Mosiah 23:21) If we can hold on to what we know while we endure whatever we feel is unfair or unjust about life, we will eventually see how our trials fit into God's plan. Then-Elder Gordon B. Hinckley spoke of meeting a young naval officer from Asia. The officer had not been a Christian, but during training in the United States, he had learned about the Church and was baptized. He was now preparing to return to his native land. I believe that each of us will have times in our lives when our faith is tested, just like the woman's was. If we are humble and willing to accept whatever God wills for us, we will one day be astonished at the generous compensatory blessings we receive. One final note -- there is one other mention of "crumbs" in the New Testament, and it is where Christ tells the story of the rich man and the beggar named Lazarus in Luke 16:19-31. In that story, Lazarus endures torment in life "desiring to be fed with the crumbs which fell from the rich man’s table," but the rich man ignores him. After both die, Lazarus is brought "into Abraham's bosom" while the rich man is in hell. This reminds me of a quote by Elder Joseph Wirthlin: The Lord compensates the faithful for every loss. That which is taken away from those who love the Lord will be added unto them in His own way. While it may not come at the time we desire, the faithful will know that every tear today will eventually be returned a hundredfold with tears of rejoicing and gratitude. One of the blessings of the gospel is the knowledge that when the curtain of death signals the end of our mortal lives, life will continue on the other side of the veil. There we will be given new opportunities. Not even death can take from us the eternal blessings promised by a loving Heavenly Father. There are multiple confrontations with the Pharisees and Jewish leaders in these sections. They condemn Christ and his disciples for not doing a ritual washing before meals, which was part of their oral law and not the original law of Moses. Christ condemns them for following a tradition that allowed a son to pledge his property to the temple after he died and therefore be rid of the requirement to take care of his aged parents instead of following the law in the scriptures. This makes me remember that at times, the details of how we implement a commandment can change and that we don't need to get so fixed on one way of doing things that we mistake the way we follow a commandment for the actual commandment. With many wonderful and exciting changes in our Church, I see a lot of traditions and cultural practices getting simplified and rearranged. I love what Sister Nelson said of her husband, "He's not interested in cutting the ham to fit inside of the pot anymore. And he's not just about, 'If it was tradition, let's do something different.' It's, 'Let's look at why we were doing that.' And that's what's caught his attention over and over again." Christ also warns his disciples to beware of the leaven of the Pharisees. I think today, we also need to beware who and what we listen to and allow to influence us. Some people sow poison and actively work to destroy faith but have nothing to take its place. As Elder Dallin H. Oaks says, "
We live in a time of greatly expanded and disseminated information. But not all ofthis information is true. We need to be cautious as we seek truth and choosesources for that search. We should not consider secular prominence or authorityas qualified sources of truth. We should be cautious about relying on informationor advice offered by entertainment stars, prominent athletes, or anonymousinternet sources. Expertise in one field should not be taken as expertise on truthin other subjects. We should also be cautious about the motivation of the one who providesinformation. That is why the scriptures warn us against priestcraft (see 2 Nephi26:29). If the source is anonymous or unknown, the information may also be suspect. When Christ heals the man at the pool of Bethesda, the Jewish leaders get angry because the man is carrying his bedroll on the Sabbath! Straining at gnats and swallowing camels, that's the way they roll. I also think Christ deliberately works on the Sabbath because it is the Lord's Day. He tells the Pharisees who criticize that as his Father works on the Sabbath, so He will work. This makes them even angrier because he is speaking blasphemy in declaring His Sonship. Christ heals multitudes and all who come to him in these chapters, but we also have some beautiful, intimate encounters he has with individuals. The man at the pool of Bethesda (John 5:1-15), who had an infirmity for 38 years, was healed by the master's touch and not by some superstition he had been hoping for. I love that it says in John 5:14, "Afterward Jesus findeth him in the temple, and said unto him, Behold, thou art made whole: sin no more, lest a worse thing come unto thee." 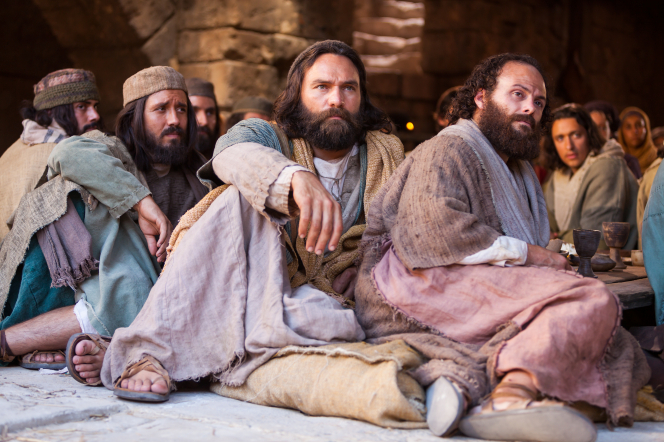 The man didn't know who it was that helped him, but Christ came and found Him as he was at the temple. This man would have been unable to go to the temple to worship for 38 years, so it is beautiful to me that he goes there soon after his healing. But I also love that Christ sought him out, and I believe He will seek us out as we seek for Him. There is a note in my Wayment translation that says that the warning "lest a worse thing come" doesn't imply that the man's original infirmity was given to him because of sin, but instead, that being caught up in sinful ways is a worse thing than being physically infirm. In Matthew 14:36, it says that those who touched the hem of his garment were made whole. I think it's interesting how Christ uses various means to heal. Sometimes he physically touches a person, other times they touch His clothes, and still other times He heals from a distance at a word. (The Twelve are said to anoint with oil, which represents Christ's Atonement, when they go out healing). The act of coming to Christ and exercising faith, whether it be faith in his touch or faith in the power of His clothing, is what is essential, not the specific way one is healed. Along those lines, I love the healing of the man who is blind and dumb in Mark 7:31-37. It says that Christ took him aside from the multitude and put his fingers in the man's ears and touched his tongue. The man would not have understood any words Christ spoke, but he could see and feel and understand what Christ meant by touching him. It seems such a personal way to say, "I see you and know you and I want you to understand what I am doing for you." There is so much depth to this Sermon and teaching! I will only touch on a few things. Christ seems to be at the height of his popularity. John the Baptist is dead, He is thronged by multitudes who want him to be King, He has fed thousands -- twice! -- miraculously and demonstrated through these miracles that He is the prophesied new Moses who is to come. And then comes this sermon, which to my ears doesn't sound particularly difficult. Christ tells the people that they are following him, not because they want to do His will and follow Him, but "because ye did eat of the loaves, and were filled." (John 6:26). The people prove this to be the case when after Christ speaks to them of the manna that the Father gave to Moses, they cry out, "Lord, evermore give us this bread!" It seems to me that the people didn't want Christ. They wanted the same thing many of us want. They wanted an easy life. They wanted to do away with the daily toil and struggle they go through just to have enough to eat. If they could have bread from heaven every day, then all their troubles would be solved. Instead, Christ calls them to be His disciples, which is going to require a lot more of them. Many did not want to accept this. John 6:66: "From that time many of his disciples went back, and walked no more with him." Here is the Son of God, declaring Who He is to them, and inviting them to partake of the Life He brings, and they reject it. What a tragedy! And yet, don't we also seek an easier life today? I think of many who plan their family size or space their children out not through prayerful decisions but based on what they think will make life easiest. Not all do this, of course, but it seems to be a much larger consideration than it should be. What would God have me do? should be the main question. And what about accepting the calling and challenges of motherhood? More and more in our society put it off or simply choose not to have children at all. They miss out on all the joys that come from the hard. We want to form God in our own image at times, wanting him to follow whatever current trends are popular. We don't want "hard sayings" about being chaste, for example, or about living a consecrated life or overcoming our selfishness. Leaving aside societal trends, I believe that sooner or later, all of us will have a moment on the path of discipleship where we encounter what we consider "a hard saying." What we do at those times is instructive. Will we, like the man who brought his son to Christ, say, "Lord, I believe, help thou mine unbelief”? (Mark 9:22-24). As Elder Holland puts it, "In moments of fear or doubt or troubling times, hold the ground you have already won, even if that ground is limited. . . When those moments come and issues surface, the resolution of which is not immediately forthcoming, hold fast to what you already know and stand strong until additional knowledge comes." Are we willing to engage in the wrestle towards understanding? Simon Peter is a perfect model of how to handle what we don't know by holding on to what we do. I love verses 67-69: Then said Jesus unto the twelve, Will ye also go away? Then Simon Peter answered him, Lord, to whom shall we go? thou hast the words of eternal life. And we believe and are sure that thou art that Christ, the Son of the living God." Peter didn't need to understand everything. He knew enough to know that there was no other path. Christ is the Son and the Way. Come what may, he was committed. Following Christ even through my hardest hours and when going through things I couldn't understand has brought me every good thing in my life. With Christ, my life is rich and full and my understanding grows. I may not know everything, but I know enough.